Wednesday April 17, 2019 - East Africa‘s busiest airport, Jomo Kenyatta International Airport, was temporarily closed on Wednesday after a bomb scare. 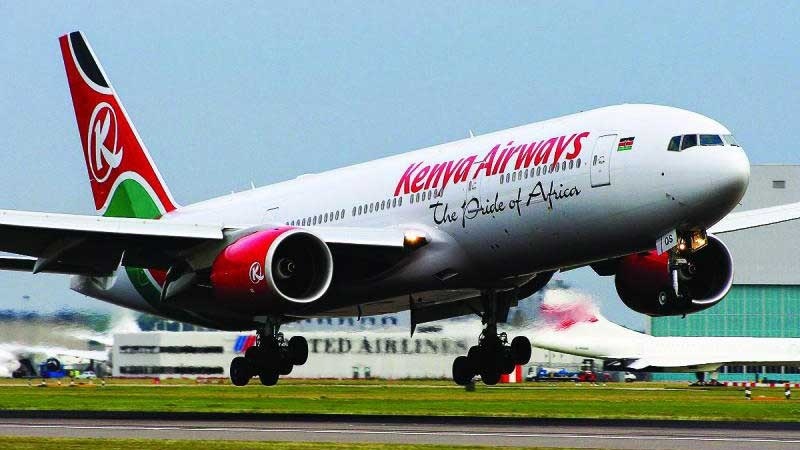 According to a statement issued by Kenya Airports Authority (KAA), the airport was closed after a man raised a false alarm in a Johannesburg-bound Kenya Airways flight forcing it to abort take off at JKIA. It is alleged that the passenger mentioned the word ‘bomb’ during an argument, causing a scare in the plane which was taxing ready for take-off. The suspect has been handed to the Anti-Terror Police Unit (ATPU) for further interrogation. Meanwhile, JKIA remained on temporary lock down for a few hours after flights were grounded for screening. But what surprised Kenyans is what Narok Senator, Ledama Ole Kina, said about JKIA shutdown. The senator, who was on a KQ flight from Kisumu to Nairobi complained that the flight was diverted to Mombasa because of traffic accusing Nairobians of grabbing land near JKIA. “So our KQ flight from Kisumu could not land in Nairobi due to traffic ... we had to be diverted to Mombasa ... it’s about time we stop grabbing all airports lands and expand our airports ... Shida Mingi,” Ole Kina said.